Bearing pivot tremolo designed for transposing of strings and chords in tune. If you're here, you've probably already heard or know about these. 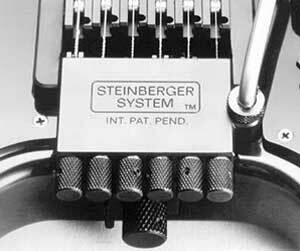 It's the only Steinberger bridge (actually one of the only production guitar bridges ever) that offers a transposing feature. Click here for official directions on setting up a TransTrem. Click here for more pictures, background and helpful tips on setup & use. Bearing pivot trem similar to TransTrem, but without a transposing feature. Think of it as a non-transposing TransTrem. NOTE: S-Trems and TransTrems utilize the same basic body route and are considered interchangeable. They are the only two trems that can be swapped without major modification. Traditional knife edge trem. 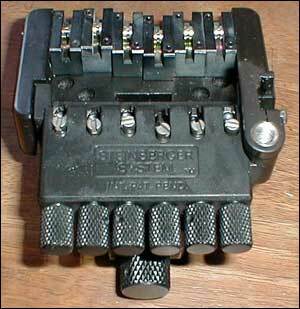 A completely different design from Trans and S-Trems, it also allows for more fixed bridge like operation when locked. It was made specifically as a more economical (read cheaper) option and was featured on the lower end GR line of guitars. Now offered on the wood neck Spirit line from MusicYo. It's also interesting to note that ball bearings (as used in the S and TT) are designed for true rotational (circular) movement and not the very small linear (back- and-forth) motion on the S-Trem and TT. 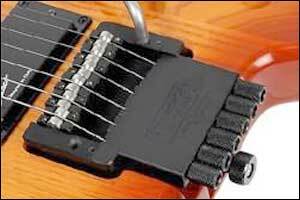 From a pure engineering standpoint they are the wrong component to use in a tremolo. With normal playing Trans and S-Trem bearings should to be replaced every couple of years, as the constant movement of the bearings in relatively small path causes excessive wear. (Click here for more info). Only offered on early GL equipped guitars. Most of the prototype GL's we've seen have them, and they were offered mostly while Ned was busy developing his revolutionary TransTrem. They were never really popular, especially after the TT came out. They were discontinued after a few years. Estimates are of at most a couple hundred hardtails almost exclusively on the earliest GL's. 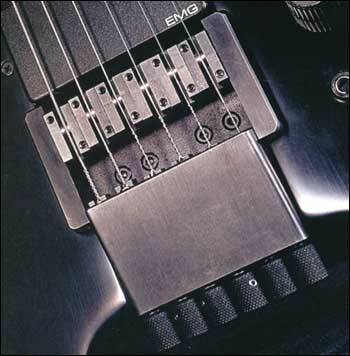 All were steel and custom milled in the Steinberger factory. This solid construction technique contributes to the exceptional sound these guitars produce. Notes are clear and they have sustain that "lasts for days." MusicYo has commissioned Ned to design a new hardtail for the reissued graphite neck models. Arrival is anticipated in late 2003 and may include a piezo option as well. Yet another revolutionary Steinberger design. With traditional 12 strings the sheer number of tuners is daunting. 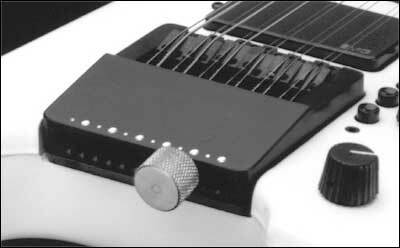 With a tuning bridge, Ned realized that a radical approach was needed to avoid a jungle of knobs and keep it simple. The TracTuner consists of a single knob which runs along a track inside the bridge. 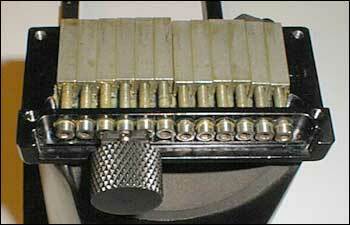 There are 12 "Click points" which allow the tuner to be precisely positioned. When "clicked in" the tuning knob engages a screw that provides tuning for each individual jaw/string. 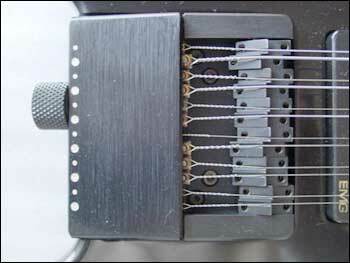 The bridge also incorporates 12 individual saddles which provide the proper string spacing and precise intonation. Inside view of the tuner and knob assembly. This is the actually top plate shown upside down. Close-up view of the TracTuner saddles. Each "block" is actually a pair of individually adjustable saddles. The TracTuner option was offered on the GL's and GM's throughout the bulk of production. At most maybe a hundred or so were sold. Because they are rare they command top dollar in the used market.